Designed especially for small to medium boats, such as Jon boats, Tenders, Inflatables, Gheenoes, Canoes, and Kayaks with brackets. 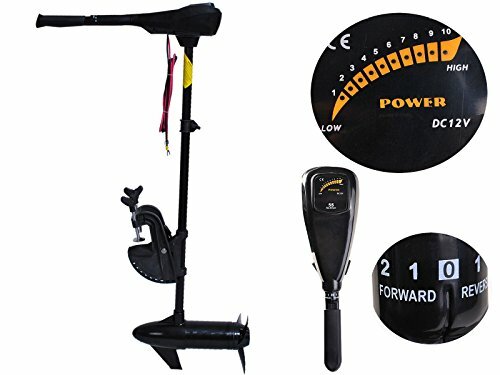 You can control this freshwater trolling motor easily and comfortably with six-inch telescoping adjustable handle. Its three-blade weedless propeller ensures smooth movement even through underwater grass and marsh. You won't be disappointed with this trolling motor for freshwater applications.